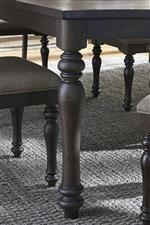 Elegant turned legs inspired by traditional designs pair with a saw cut distressing to create a unique take on rustic styling in this handsome gathering table and chair set. With a raised counter height and an open design, the table helps create a warm welcoming feeling in your dining space while an 18" table leaf allows you to extend the table when you have guests over. Upholstered counter height chairs provide you with a comfortable place to sit as you eat a good meal or unwind with friends and family. The Catawba Hills Dining 7 Piece Gathering Table Set by Sarah Randolph Designs at Virginia Furniture Market in the Rocky Mount, Roanoke, Lynchburg, Christiansburg, Blacksburg, Virginia area. Product availability may vary. Contact us for the most current availability on this product. 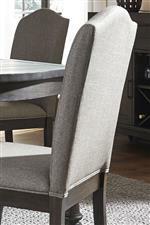 The Catawba Hills Dining collection is a great option if you are looking for furniture in the Rocky Mount, Roanoke, Lynchburg, Christiansburg, Blacksburg, Virginia area. 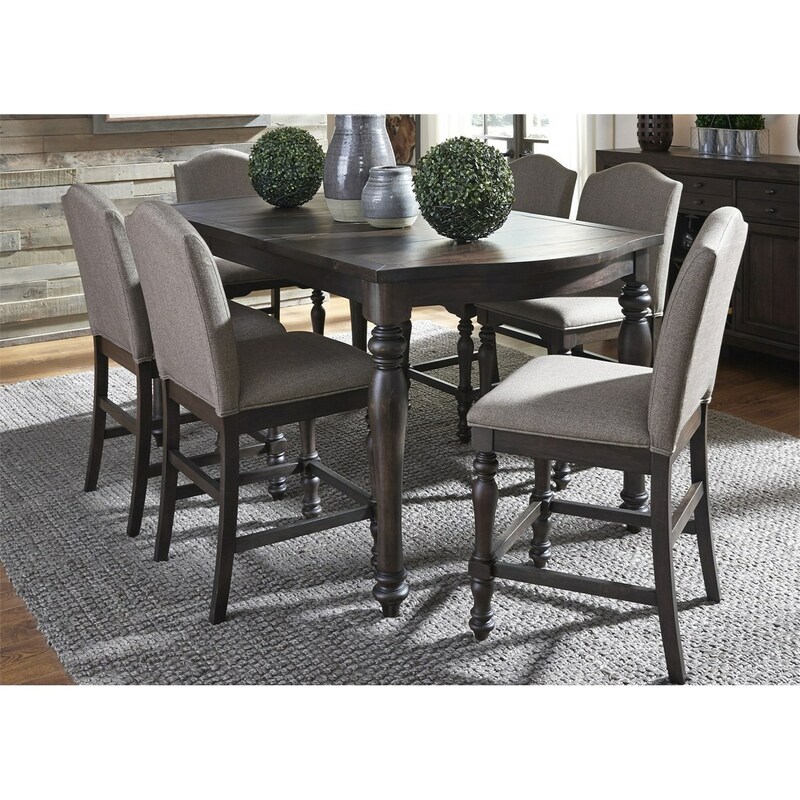 Browse other items in the Catawba Hills Dining collection from Virginia Furniture Market in the Rocky Mount, Roanoke, Lynchburg, Christiansburg, Blacksburg, Virginia area.